Every FastMed Urgent Care location in NC and AZ is a walk-in health clinic – just type in your zip code to find a clinic location near you. There’s no appointment necessary at any of FastMed’s walk-in clinic locations, and we’re open every day of the year, including holidays. If you need immediate care for minor illness or injury, such as strep throat, a sinus infection, a sprained ankle, or an aching back, just come by. We also help monitor chronic conditions, like high blood pressure or diabetes, and have labs on site for quick and accurate test results at every walk-in health clinic. FLU: One in five Americans suffer from the flu each year. The CDC recommends everyone over 6 months of age get a flu shot. Keep in mind that the flu season starts as early as October. SOLUTION: Get your flu shot at any FastMed Urgent Care walk-in health clinic. If you experience flu symptoms, get to our nearest walk-in health clinic as soon as possible. Antiviral drugs, particularly if received in the first two days of symptom onset, may lessen the severity and duration of the flu. SOLUTION: First, if you fall, come to your nearest FastMed walk-in health clinic and let us know. We can review your medications to make sure there is nothing causing dizziness or imbalance. We can also test you for osteoporosis to minimize risk of fracture. Your best defense against falls is to exercise and have your vision regularly checked. IMMUNIZATIONS: Don’t count on the vaccines received as children to protect you. Immunity can fade over time, and more effective vaccines have become available. More than 30,000 cases of invasive pneumococcal disease (meningitis and bacterermia) occur in the U.S. each year. SOLUTION: At a FastMed walk-in health clinic, we catch you up on the vaccines that protect your health. Make sure to tell us about your medical history and discuss any questions or concerns you might have. 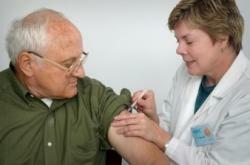 The CDC has a great fact sheet on what adult vaccines are appropriate – take a look at it here.